It’s no surprise that Park City, Utah, has become one of the top winter destinations in the country. With two-world class ski resorts, a historic downtown, fine dining, Olympic venues, high-end spas, and incredible Utah powder, Park City has no end of activities for winter visitors. But perhaps just as important is its location just 35 minutes from the Salt Lake City International Airport. Visitors who take a morning flight can easily be on the slopes by lunch. 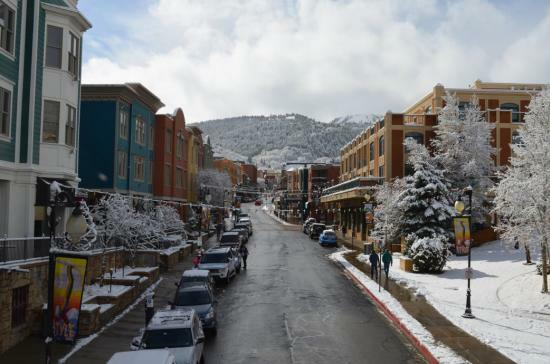 No matter if you’re interested in spending every possible moment skiing on the Utah’s Greatest Snow on Earth® or relaxing at one of the many available amenities in the area, you’ll find Park City provides a one-of-a-kind winter getaway. First-time visitors are in for a treat. Park City is home to two major resorts, both among the top ski destinations in the country. Park City Mountain Resort, which in the 2015-16 season merged with the adjacent Canyons Resort, is now the largest ski resort in the U.S. You might hear locals and longtime visitors still refer to the Canyons area by its original name, but the two resorts now operate as one, bridged together by a gondola. You can explore more than 300 trails, 40 lifts, 14 bowls, and 7,000 acres of skiable terrain, which is enough to keep anyone busy for an entire winter, let alone a long weekend. 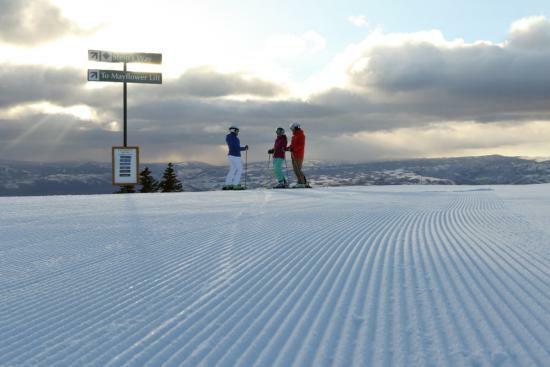 No matter your level of skiing, you’ll find something to love at Park City Mountain. The former Canyons area is known for its high elevation green runs, which is a nice option for beginners, who are usually delegated to the lower mountain. Deer Valley Resort is known for its immaculately groomed trails. Deer Valley Resort distinguishes itself from its behemoth of a neighbor as a skier-only resort, which is known for its impeccable customer service. It prides itself on the number of skiers who return to the resort year after year, and the resort is consistently ranked at the top when it comes to grooming, service, access, on-mountain food, lodging, dining, and kid friendliness. Patrons love the Stein Eriksen Lodge, a five-star hotel named after a skiing legend and Olympian, Stein Eriksen. A major selling point for any trip to Utah is the Salt Lake City International Airport, which is a major hub, but it isn’t so big as to overwhelm you. It’s also generally ranked as the top airport in the country for on-time departures. It’s easy to get around, and with a constant flow of skiers coming into the state, airlines are quick to handle your ski equipment and baggage to help get you on your way. Once you land, it’s easy to rent a car from any of the major companies on site at the airport, or check with your accommodations for shuttle options. You might also consider taking the All Resort Express Shuttle or Canyon Transportation, which will take you right to the slopes. The point is, once your plane lands, you can grab your gear and be on the snow in no time. Historic Main Street in Park City is filled with popular shops and restaurants. Park City was founded in 1884 after the silver boom of the 1860s, and its mining heritage plays a strong role in defining the Western flavor of the charming little downtown scene. History buffs will get a kick out of the Historic Main Street Walking Tours. The downtown area stays true to its mining heritage, with almost 70 buildings in town listed on the National Register of Historic Places. Park City has become a year-round destination, and aside from hiking and mountain biking, other recreational pursuits include zip lines, high ropes courses, and a bobsled run at the Utah Olympic Park, which was built for the 2002 Winter Games. Park City is also the host of the world famous Sundance Film Festival, which takes place in January every year. 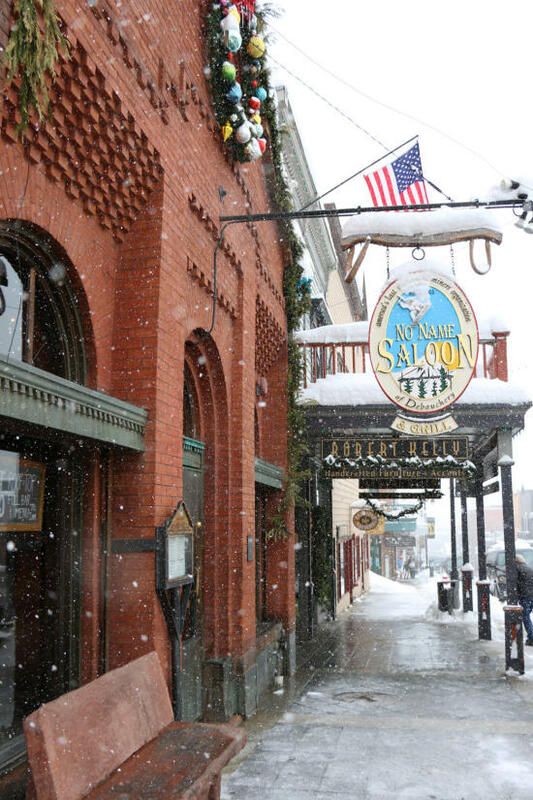 The No Name Saloon has served drinks in Park City for more than 100 years. Park City’s food scene and nightlife is another major draw to the town, as it has an abundance of bars and restaurants to suit every taste. After a day on the slopes, the iconic No Name Saloon is a popular spot. It has been proudly "helping people forget their names since 1903." It has all the traditional Western swag you would expect. If you feel like getting rowdy after having a couple drinks at No Name, head next door to Park City’s lovable dive bar, O&apos;Shucks, or try the Wasatch Brewery. Butcher’s Chop House and Bar is one of the many options for excellent dining in Park City. If you crave a more refined culinary experience, check out the ski-in/ski-out local’s favorite, the Silver Star Café. Or try some other downtown favorites, including the Riverhorse on Main, Ruth’s Chris Steakhouse, or Butcher’s Chop House and Bar. 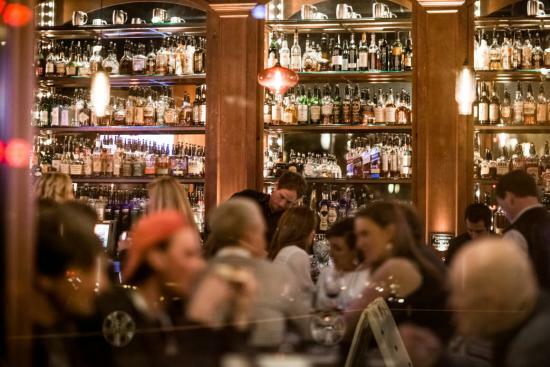 Park City is filled with restaurants to choose from, and both Park City Mountain and Deer Valley Resort offer excellent dining options on the mountain as well. One specific highlight: Deer Valley’s Fireside Dining, which features a European-style meal cooked over an open fire. Even more fun? Arrive at the restaurant via a horse-drawn sleigh or snowshoes. Another reason for Park City’s popularity is that everything is so close together. You can stay slopeside at either Park City Mountain or Deer Valley Resort and you’re still just a short walk from downtown. Conversely, you can stay at a hotel just off Main Street and still be on the slopes in minutes each morning. There are lodging options to meet everyone’s need, from five-star resorts to affordable condos. While it’s tough to leave the ski hills for most people, there’s much more to do in Park City in the winter. You’ll find snowmobiling and dogsledding tours to explore the backcountry, an ice skating rink at the base on Park City Mountain Resort, Nordic skiing and snowshoeing trails. The Utah Olympic Park, which hosted bobsled, luge, and ski jumping at the 2002 Winter Games, continues to host elite athletes and serve as a training center. Check out the athletes in action or try the bobsled run yourself—with the help of a trained pilot. You’ll also find two museums that cover the Olympic experience and the history of skiing in Utah. As you can see, there’s too much to cover in just one trip. First-timers to Park City, Utah, usually have one thing in common—the desire to return as soon as possible.